Heart shaped teacup & saucer – my fav item for sure! This make any cup of tea look adorable! This along is worth $21 so this box is worth it! I surprisingly didn’t have a fancy teacup and saucer, but always wanted one, so you can expect some future photos of this one for sure! 10K gold accented bone china too, oh lala! Polka dot plate & spoon – this is also so cute! This and the above item completely made the box exciting for sure! Such a cute gold trimmed theme in this box! Rose cocktail napkins – the perfect finish for a tea party, keeping it fancy! Sorini Chocolate – yummy little milk chocolate praline with hazelnut cream. 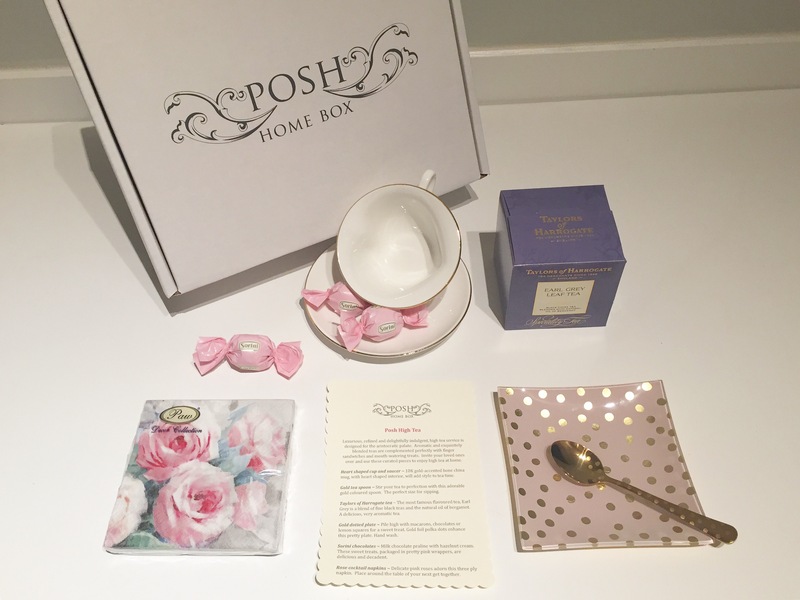 Taylors of Harrogate tea – a lovely earl grey, perfectly fitting for this box. The tea party awaits!